Founded in 1980, Martin Industrial Supplies was based on quality products at competitive pricing with superior customer service. What started as a one man operation quickly grew into 5 full time employees. In 1994 Martin Industrial Supplies was purchased by Blansett Enterprises, Inc. Backed by loyal customers and a solid product line, Martin Industrial Supplies continued to grow. 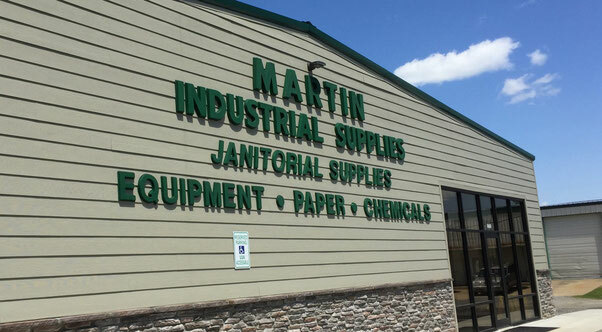 Today, with 12 employees and over 100 years combined experience in the janitorial field, Martin Industrial Supplies is the largest Spartan Distributor in Arkansas. We have the tools and supplies you need to make your cleaning job easier. And with our expanded product line, we have the selection of products you can trust for value and reliability. Where do you turn when you have a cleaning problem? Turn to the professionals at Martin Industrial Supplies. We have the products to meet your needs and exceed your expectations. After 35 years in the janitorial supply business, Martin Industrial Supplies has remained committed to one goal. You. We are devoted to helping our customers go beyond their expectations. Using this approach, we help our customers not only find solutions to problems but help prevent them as well. We prefer to forge relationships with our customers that last longer than a sale. This is what leads most of our customers to say they have a "friend in the business."